Song written by Kate Bush. It was originally released as the lead single for The Red Shoes in the USA on September 7, 1993, while everywhere else in the world Rubberband Girl was released. In the UK, a small handful of extremely rare 7" and promotional CD-singles were produced, but were recalled by EMI Records at the last minute. A commercial release followed in the Summer of 1994 in the Netherlands and Australia, along with a handful of other countries. The song's lyrics are about opening up in relationships to reveal who we really are inside. The USA CD-single featured the album version and 12" version of 'Eat The Music', along with Big Stripey Lie and Candle In The Wind. A 2 track CD-single, released in the Netherlands in the summer of 1994 featured 'Eat The Music' and You Want Alchemy. The Dutch and Australian 4 track CD-singles featured these two tracks plus the 12" version of 'Eat The Music' [which is actually the 4'55 US edit, see below] and 'Shoedance (The Red Shoes Dance Mix)'. It is worth noting that the Australian CD-single came in a 'Scratch And Sniff' card sleeve. There are four versions of 'Eat The Music': the 5'10 minute album version, the 4'55 edit that appears on the American CD-single, a 3'25 minute 'edit radio', released on a French promotional CD-single, and the 9'21 12" version. 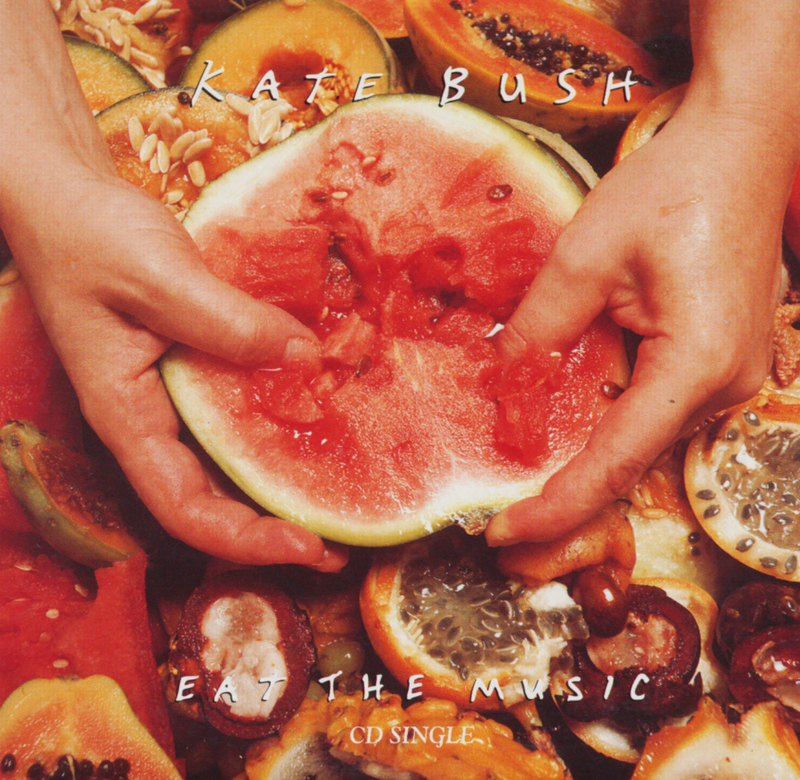 The music video for 'Eat The Music' was also used in the movie The Line, The Cross and The Curve and features Kate dancing in a field of fruits together with other dancers. It is a slightly hypnotic sequence. Eat The Music. Wikipedia, retrieved 22 January 2015.